Win 'Parks and Recreation' Seasons 1-5 box sets! Win ‘Parks and Recreation’ Seasons 1-5 box sets! Posted October 15, 2014 by William Martin & filed under Win. 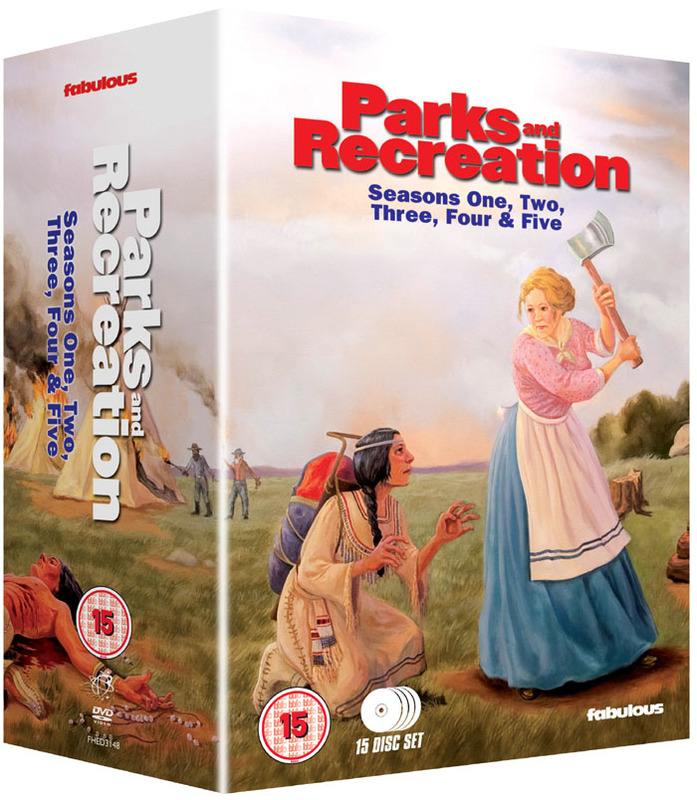 A new 15-disc box set featuring the first five seasons of Parks and Recreation (including 90 episodes plus bonus features) is out on DVD on Monday 20 October. To celebrate the release, we’ve got box sets to give away to two of our Twitter followers! Created by Primetime Emmy® Award winners Greg Daniels (The Office U.S., King of the Hill, The Simpsons) and Michael Schur (The Office U.S., Saturday Night Live), comedy superstar Amy Poehler stars as Leslie Knope, an ambitious and hopeful small-town government worker, whose dreams are way bigger than her political talents. American political heavyweights are out in force, with cameos from Senator John McCain and Vice President Joe Biden. Plus Will Arnett (30 Rock, Arrested Development) as Leslie’s blind date, Emmy winning stand up Louis C.K as the local cop, Will and Grace’s Megan Mullally as Ron Swanson’s manipulative and over sexed ex-wife. (Megan is married to Nick Offerman who plays Ron Swanson in real life), Paul Rudd (Knocked Up, The 40-Year-Old Virgin, Friends) as Leslie’s Pawnee City Council opponent and Will Forte (Saturday Night Live) as the resident who passionately argues for the Twilight books to be included in the Pawnee time capsule. This competition has now closed. The winners are Amy Draper from Basingstoke and Carly Long from Abingdon.